Reviewed by Gregg Prescott, M.S. 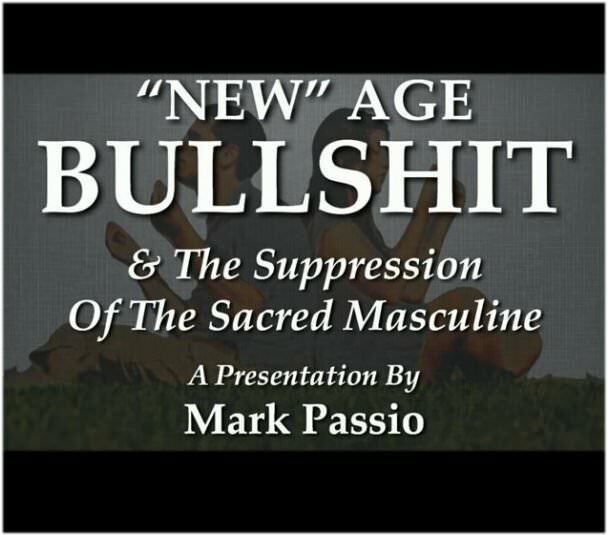 The following is an excellent 7 hour presentation by Mark Passio that may rub many people in the New Age movement the wrong way but for the majority of what he is saying, I agree. For those who don’t have the patience of watching a 7 hour video, I took the liberty of highlighting Mark’s presentation and added a few comments to the points he made. In5D: These are the people who refuse to talk about all of the atrocities that are happening to humanity. Basically by not saying anything, they are acquiescing to those in power. While non-righteous and un-channeled anger is counter-productive to both individual development and collective efforts to bring about positive change. Righteous indignation, when channeled productively, can be a major motivation to create positive change in the world. Those in power basically want to suppress the sacred masculine and desire people who are basically fluoridated zombies. 3. We’re all one, so it’s ALL good. Did innocent children who are being raped create their own reality? Many New Agers tout the concepts such as Right and Wrong as “dualistic” and therefore invalid. They try to convince people that everything is okay. In5D: It is possible that acts such as child abuse are the results of karma as the child being abused may have been the abuser in a previous lifetime. Also, Gandhi used peaceful non-compliance successfully. 4. You can never really know. Solipsism: From the Latin adjective solus: “alone” and from the Latin pronoun ipse: “self”. the ideology that only one’s own mind is sure to exist. Solipsists contend that knowledge of anything outside one’s own mind is unsure, hence there is no objective reality and nothing about the external world and its workings can truly be known. Perception is NOT reality but our work is to align the two. Accept, accept, accept… but NEVER resist. In5D: This is why I wrote the article about “Galactic Warriors“. The New Age movement has been twisting these spiritual practices into means to take people’s minds off the fact that they have been enslaved and make it easy for them to just accept the current condition of the world as their lot in life. In5D: I absolutely agree with this. Activism is the best way to create change. For example, those who are passive would not be benefiting from the activism of those who stood up against GMO’s and GMO labeling. Once again, by not saying anything, you are acquiescing your civil liberties to those who are in power and you are basically allowing them to do so. “No Confrontation!” New Agers insist that there is NEVER a time to use force. Meditation’s correct usage is for balancing the brain when it has been chronically left-brain dominant. Yoga’s proper usage is to help us to discover what our true work is and to motivate us to do it. Half-way understanding won’t get it done. The “My Freedom” movement often leaves out the Sacred Feminine principles of non-aggression and compassion toward others. While totalitarian police state is being brought forward faster and faster, the Occult Controllers need to propagate a religion to push people deeper into right brained imbalance so that they will not stand up for their Natural Rights. The New Age movement IS that religion. The REAL reason most people, including New Agers, do not want to speak out against government is because, deep down inside, they are COWARDS who lack the courage to stand up to a bully. In5D: I agree. Most people also have become so subservient that they don’t even realize they’re being bullied. Also, because of the need for two income households, many people don’t have the time to follow what’s going on in politics and government and will eventually vote for “the lesser of two evils” without knowing anything about Bohemian Grove, the Trilateral Commission, the Committee of 300, the Builderbergs, etc… Additionally, most people will not stand up and question religion. Start saying “NO” when you know something is wrong. 6. Watered-down version of the Laws of Attraction. The New Age variant of the Law of Attraction is largely based in the modality of service to self. The New Age Law of Attraction leaves “action” out of the equation. Action is required to make change in the world. Natural Law – The Real Law of Attraction – definition: Universal, non man-made, binding and immutable conditions that govern the consequences of behavior. We co-create our shared reality in the aggregate. Individual choices, either based in harmony or opposition to Natural law, influence the quality of the shared experience. This dynamic acts as a perfect expression of the Principle of Correspondence: As above, so below; as below, so above. Conversely to what the New Age movement will tell you, for a quantum shift to take place, numbers ARE required. In5D: Universe is always guiding us toward our life purpose but just like astrology, it’s up to us to learn from the cycles of time and past history in order to prevent history from repeating itself. 7. False notion of forgiveness. True forgiveness does not mean continuing to excuse the willful commission of wrong-doing an infinite number of times. That is naiveté at best and cooperation with evil at worst. A sincere apology starts with the willingness to tell the truth and cease one’s engagement in violent action. THAT is where true forgiveness and reconciliation must begin. In5D: Many of those in power are guilty of crimes against humanity. While karma will play its role, these people need to be held accountable for their actions. This doesn’t mean they should be harmed or killed, but they can be used to help build a new world in the best interests of humanity. Perhaps they can work in the orchard picking fruit and vegetables for 80 hours a week, similar to what they have expected from slave labor? Perhaps they can build and install free energy systems? In my opinion, the best form of punishment for them would be to involve them in building a world we can all live in and working them endless amounts of hours in doing so, so they know how it feels. 8. Chaos should be feared. “If I give up my freedom, THEN I’ll be safe”. The control and slavery system is about limitation of Free Will through the destruction of possibility. Fear of the possibility of chaos = fear of true freedom. Through their fear of the possibility of chaos (true freedom), most people advocate the legitimacy and continuance of “Authority” and Government and are therefore actually advocating the legitimacy and continuance of VIOLENCE and SLAVERY. STATISM: The most dangerous religion in the world. Those who believe that “Authority” is necessary and that it MUST continue have actually been duped into believing that human SLAVERY is necessary and MUST continue in order to prevent chaos. Statism: The brilliant idea that we give a small group of people the right to kidnap, imprison, harass, steal from and kill people so that we can be protected from people who kidnap, harass, steal and kill people. Violence and slavery cannot prevent chaos. Violence and slavery ARE chaos. They are not our masters. We are not their slaves. In5D: I’ve been talking about this point for a while in all of the Pluto In Capricorn articles I’ve written which basically say that Pluto is known as the “Destroyer” and will tear down everything that is not in the best interests of humanity, including government, money and religion. I’ve also mentioned that this is a good thing because in order to replace these unsustainable systems of subservience, control and conformity, that need to collapse. Also see: 20 History Questions They Refuse To Answer In School! 9. Enlightenment is ONLY about changing yourself… and the end goal is to feel good all the time. Seek the truth, then speak the truth. It is our shared responsibility at this time to help to awaken others by continuously speaking the truth unapologetically, even if we feel burdened by this task and even if it makes ALL of those involved feel uncomfortable. In5D: Once again, I agree. I’ve spoken to many people who fear talking the truth to their family and friends because they’re afraid of what their loved ones will think of them or they’re afraid of losing their friends. Additionally, I’ve seen many people on Facebook hide behind fictitious names for the same reasons. 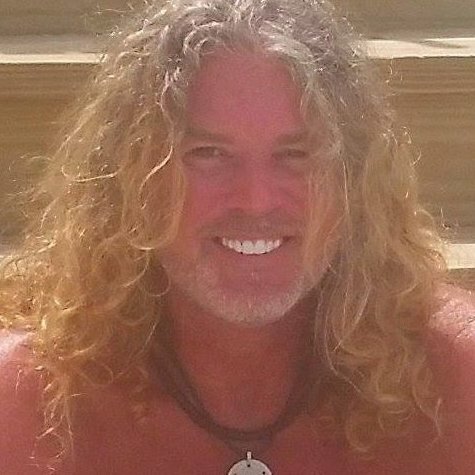 This is why I wrote, “So, Your Spiritual Awakening Cost You Some Friends“. Speak your truth. 10. Truth doesn’t need to be defended, so never confront anyone on their BS. The Universe is spoken into existence. It is true that truth can never be destroyed. But we CAN be destroyed when we refuse to be her defender. “Love and Light” is not enough to change tyranny and oppression. As evidenced by hundreds of near death experiences, the most important thing is love. The ONLY thing is love. While this may be true on the other side of the veil, the feeling needs to be reciprocated between both parties on this side of the veil. Do you think a politician or policeman will tell you “Love and Light”? Do they even know empathy if they’re not capable of feeling and experiencing what the rest of society has been enduring for millennia? That being said, there is a great need for people to hold the vibration of Love and Light, which is one thing that Passio does not talk about in this video and would most likely consider this part of the “New Age” movement. Numerous studies have proven the power of meditation which in turn, have shown decreased rates of crime on days of global meditations. Positive thoughts and intentions can change our reality and those who are holding the energy of love and light are playing an important role. Sometimes, we need to stand up for our basic human rights in order for everyone to experience as much love as physically possible on this plane of existence. By allowing those in power to continuously take away our human rights, we are basically agreeing to their limitations. At some point, humanity will no longer be the doormat for the political elite and this can be done with peaceful non-compliance and activism. One Rosicrucian belief is that your goal in life is not to be happy but rather to experience as much as possible and within those experiences, you’ll find happiness. This also includes experiencing the good, the bad and the ugly. In order to experience more of what you desire, it sometimes takes activism to create awareness, which in turn, creates the change you desire. There is power in numbers. Right now, there are over 7 billion people on this planet, many of which abhor war and do not want to see the pollution and contamination of our water, air and food supplies. The one thing those in power fear the most is when the bottom of the pyramid unites, because they know the rest will collapse. This is why they rule through divide and conquer principles such as war, wages and prejudice. The majority of people on this planet EXPECT to be economic slaves and will unknowingly ask their children, “What do you want to be when you grow up?” which implies some sort of economic slavery position. Many of the same people cannot envision a world without money, which has kept us enslaved for millennia. I often use the analogy of freedom as being a man walking his dog. 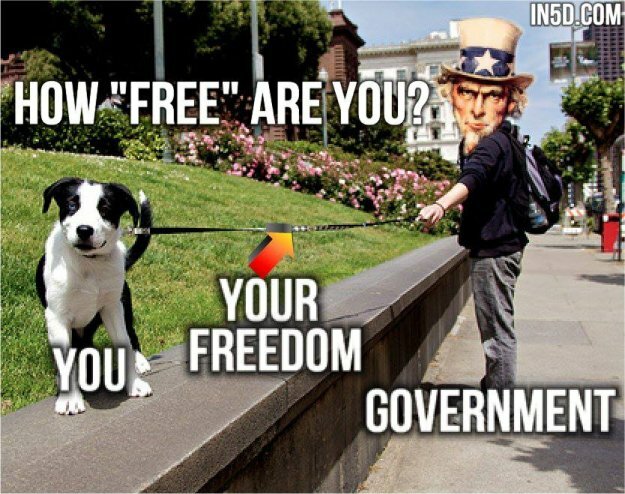 The “Man” is government, you are the dog and the leash is your freedom. Your free, only as far as the leash will extend and recently, the leash keeps getting shorter and shorter. Without activism, the leash will become a noose. Most people are afraid to rock the boat. They might think, “If the dollar collapses, then how will I survive?” By simply thinking this, these people are basically saying, “I’d rather be an economic slave for the rest of my life than to try to figure out how to live without being one.” It is alright to resist authority through peaceful non-compliance and activism as long as you are working in humanity’s best interests. Pierre Teilhard de Chardin once wrote, “We are spiritual beings having a human experience.” Do you really want to experience economic slavery, tyranny and oppression or would you rather experience love, bliss and the ability to follow your own path of enlightenment? That will not miraculously happen without peaceful non-compliance and activism, so start making your voice heard! With Pluto in Capricorn, the time is ripe for everlasting change to occur in humanity’s best interests. Pluto will continue to tear down everything that is not in humanity’s best interests, including money, government and religion. The following video provides solutions on how to do this.